This adorable dress is a bohemian dream of botanicals and butterflies! 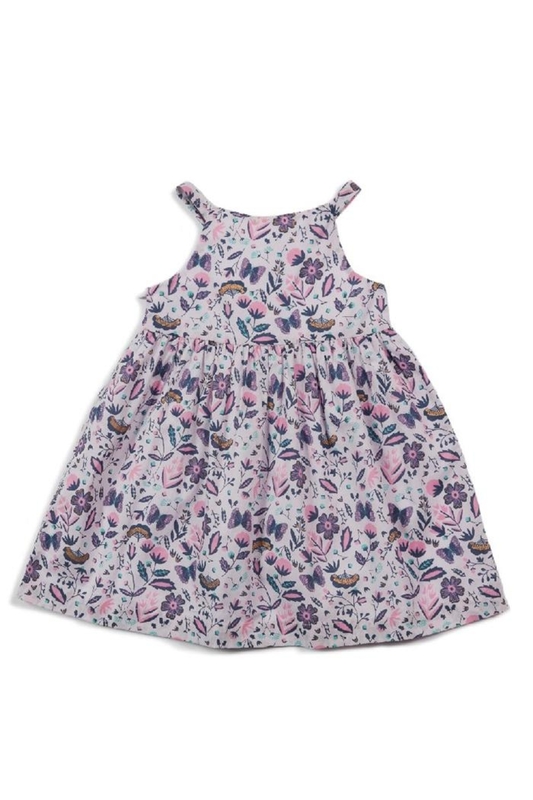 The adjustable tie at the back lets you adjust the length for a custom fit-perfect for growing girls! Machine washable.